• What Can Teleseminars Do for You? 1. Choose a good topic. Choosing a topic for your teleseminar is much like choosing a topic for a blog post. You don’t want something too broad, or you’ll have no focus. And you don’t want something too narrow, or you will run out of things to say. Instead, you want to balance your need to cover new ground with your need to keep the length and breadth of your teleseminar manageable. For your first go-round, I suggest keeping things tight and focused. You should also plan keeping your call to an hour or so. Any longer and you may burn yourself out or run into more problems than you’re prepared to deal with! Start by brainstorming a list of possible topics for your teleseminar. When it comes to scope, ideal topics are suitable for magazine articles rather than books! In short, go through your list of topics and decide for each one whether it is so broad you’d need a book to cover it, or if you could do it justice in a magazine article. Then make a list of your top picks. Can’t pick just one? Remember, you can always hold another teleseminar — and you should! Right now, you’re just getting ready for the first one, so select a topic you feel comfortable with. 2. Decide on an expert. One of the greatest advantages of teleseminars is that you don’t have to be the expert; you can interview someone else with more experience. You can also hold a dialog between the two of you, or you can do the whole thing yourself. It’s entirely up to you. 3. Pick a day and time. Next, you need to pick a day and time. It’s easy to drive yourself nuts trying to find a day and time that works for everyone in your target audience. Just realize that no matter what you do, you simply won’t be able to pick a time that is convenient for everyone! Instead, pick a time that works for you, and go with it. You can always make the audio available later if you like. 4. Decide on whether to charge or not. 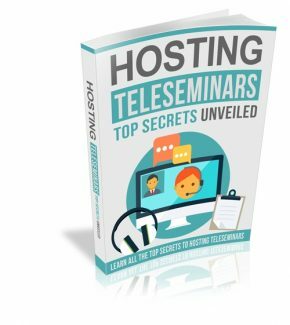 Are you planning to charge for your teleseminar? You’ll want to decide upfront whether to charge or not, and what you should offer as upsells. In a later section, we’re going to cover fee vs. no fee teleseminars in more detail. That’s it! These are the key decisions you need to make before you get started because they will affect a lot of your other activities. Just keep in mind that they’re not necessarily either/or decisions. There are a range of options you can select, so let’s discuss those in greater detail, starting with inviting an expert. • You don’t have to rely on your own expertise – your expert will be there to educate your audience. • You’ll achieve expert status by association. Think of Oprah: She isn’t a weight loss expert, but because she has interviewed dozens of them, she is seen as a health and fitness guru in her own right (even in light of her ongoing battles with her own weight!). 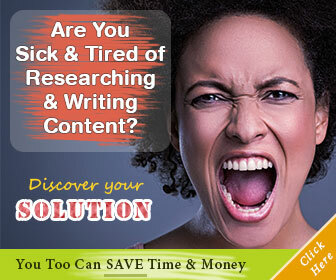 • You can bring new expertise to your audience. Offering an added perspective to your audience raises your value in their eyes. You become a “connector,” someone who knows all the right people. • You can get in front of new prospects. Many experts have audiences or lists of their own, and their “tribe” will follow them to your sphere of influence. If they like what they see, they will stay a while – and maybe even buy something! • You can do soft-sells on affiliate products. If you are an affiliate for a book on, say, cheerleading, you can bring the author in front of your audience for a Q&A session. Then, when the author mentions her book, you provide your affiliate link and get a commission for every book your audience buys. • Are they a good fit for your audience? Don’t invite the cheerleading expert when your list consists of survivalists and expect to get a warm response. • Are they personable and good at public speaking? Few things are more painful than listening to a poorly prepared, poorly skilled public speaker – even in an interview setting. Have a screening phone call or listen to other interviews with your prospective guest before you issue an invitation. • Do they have something valuable to say? Make sure you’re spending your time – and your audience’s time – wisely by offering something unique, interesting, educational, or entertaining. • Do they have a large list? This isn’t a must-have, but it definitely helps if your speaker has a large audience of his or her own and is willing to promote your teleseminar. • Do they have products or services to promote? If you are hoping to earn commissions by promoting their products or services, find out how their affiliate program works, and if their products or services are right for your audience.